Proposals to scrap a controversial House of Lords election system have faltered despite warnings that people will think peers have lost their marbles if they block it. Stormy exchanges occurred in the Lords as Lord Grocott attempted to make progress with his measures to remove the election system used to fill vacancies caused by the death, resignation or expulsion of the hereditary peers. The Labour peer was joined by Tories in insisting the House of Lords (Hereditary Peers) (Abolition of By-elections) Bill has majority support among peers. He also railed against opponents for using delaying tactics and his Bill failed to clear committee stage due to a lack of time, with line by line scrutiny disrupted by frequent sniping. Conservative hereditary peer Lord Trefgarne and others were accused of filibustering, with 59 amendments tabled and around 50 minutes spent on deciding whether debate on the proposals could start for the day. Proceedings on the Bill were later halted due to other scheduled business, although Lord Grocott said he has "every reason to believe that further time will be made available" for the committee stage of his Bill. Despite the Government's opposition to the proposals, Lord Young of Cookham said it is "open to further discussions" with Lord Grocott. There are up to 92 hereditary peers, with calls for change intensifying after a 2016 Liberal Democrat hereditary peer by-election cost taxpayers £300 and involved just three voters. 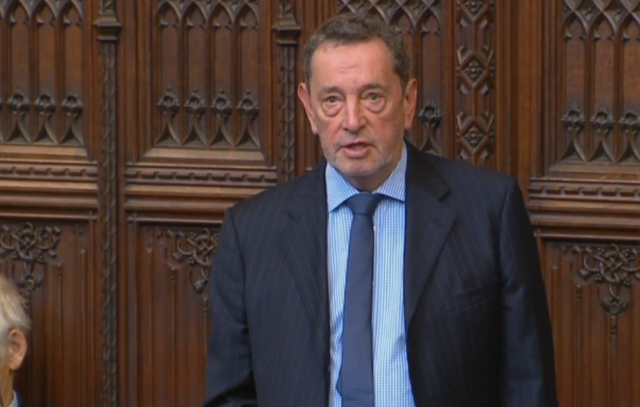 Speaking during the debate, Labour former cabinet minister Lord Blunkett described the election process as "bizarre and medieval". have by-elections to fill those vacancies." Lord Trefgarne's motion to regret that the Bill was proceeding to committee stage given that recommendations linked to the size of the House have yet to be implemented was comprehensively defeated by 127 votes to two, majority 125. Tory former minister Lord Forsyth of Drumlean labelled the regret motion and number of amendments tabled as an "attempt to frustrate what is the majority view of this House". He said: "If it looks like a duck and walks like a duck, it is a duck - and I know a filibuster when I see one." Lord Grocott said he feared the amendments tabled did not try to improve the Bill, but are "designed to wreck the Bill and/or delay it indefinitely". Lord Trefgarne earlier told peers: "This is the second Bill Lord Grocott has introduced on this matter - neither has ever found favour with the Government, who have consistently said they will not give time for the Bill in the Commons - that's if it manages to pass through the Lords." He said no new arguments have been made in favour of the Bill, although denied he was trying to delay debate on it. 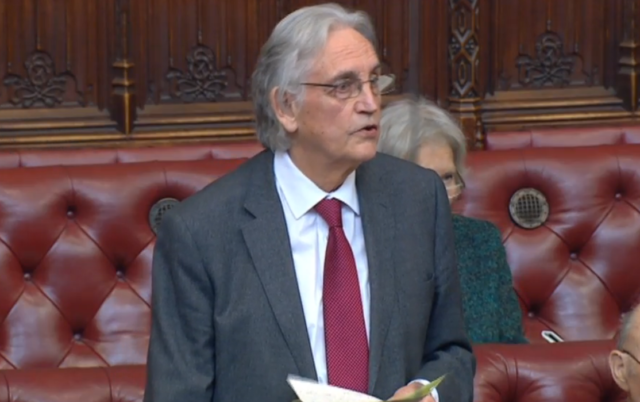 "If it looks like a duck, walks like a duck, it's a duck," says Tory Lord Forsyth as he calls out Lord Trefgarne's "filibuster"
Lord Trefgarne later asked to withdraw his regret motion, but a vote was forced by Labour in a symbolic show of support for the Bill. Conservative Lord Cormack, during committee stage debate, said peers had shown "conclusively and absolutely" that the majority of them support the principles of the Bill. The Earl of Caithness, a Conservative peer, rejected suggestions he was using "delaying tactics" when outlining his opposition to the Bill. As he spoke to one amendment, Labour's Lord Foulkes of Cumnock intervened to joke: "I think I am right in saying that the noble Earl is the 20th Earl of Caithness and his title goes back many centuries. "Instead of speaking here, would it not be better if he went back up to Caithness, got down on his knees and thanked the Lord that he lives in the United Kingdom and not in France, where they had a rather more ruthless way of getting rid of their aristocracy?" The Earl of Caithness, in his reply, said: "Well, some survived that too and doubtless some of us will survive this onslaught against us at the moment."